We rely on donations from alumni and friends to support students and faculty, expand facilities and organize community art events and performances that complement Atlanta’s and the Southeast’s vibrant arts scene. 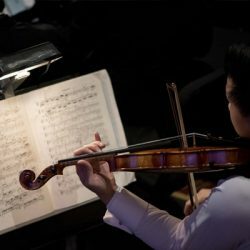 When you give to the College of the Arts, you are helping us offer competitive scholarships to the brightest and most talented students, recruit and retain a stellar faculty and support artistic and scholarly opportunities for students and faculty who travel worldwide to perform, exhibit and conduct research. Our students will be the artistic leaders of tomorrow. The Board of Visitors of the College of the Arts marshal and mobilize community and financial resources that are vital to the college mission of developing artist entrepreneurs for creative and professional success. 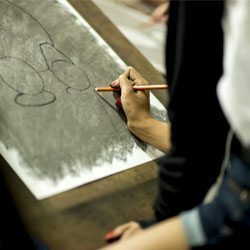 The College of the Arts’ faculty of professionals, scholars and practicing artists have the rigor to nurture and hone their students’ unique blend of talent, grit and passion. This mission is part academic, part alchemy. The efforts of the Board of Visitors produce essential ingredients for transforming the college’s students into thriving professionals of the creative class in Atlanta and beyond.